This week I’ve been enjoying these stunning ‘Sarah Bernhardt’ peonies. If you love these pretty seasonal blooms as much as I do, make sure that you take the opportunity to bring some into your home soon. 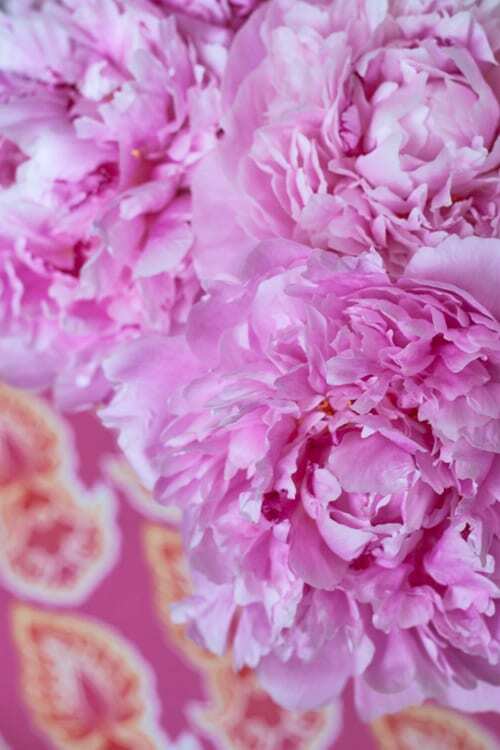 And if you live in the UK, you’ll find lots of British peonies available at the moment! Mainly a stay-at-home day…writing blog posts, dealing with emails and using social media. 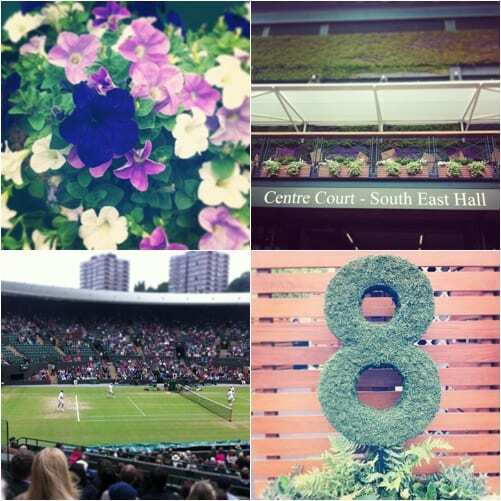 On Tuesday, I was very fortunate to spend the day at Wimbledon watching the tennis. We saw Ladies’ Quarter Finals matches between Radwanska v Li, followed by Stephens v Bartoli. During the first match, we were on the edge of our seats. It was such a gripping game! The highlight of the day for me though was watching the legendary John McEnroe playing in the Sr. Gents Invitation Doubles. On Thursday, I was in London all day. First stop was the Marks & Spencer Christmas 2013 Press Show. They have such a wonderful selection of arrangements and plants planned for the festive season, including these cute mini Christmas trees below. 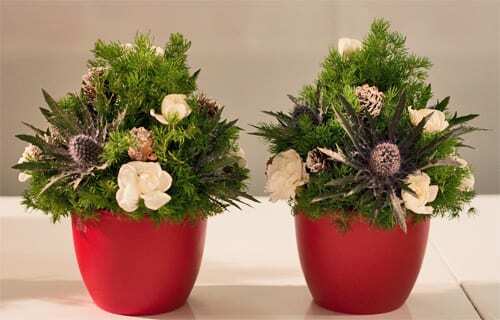 I made the one on the right whilst I was there, using floral foam, ming fern, spray carnations and frosted eryngium. Then, I caught the tube to the AW13 Press Show at Heal’s. 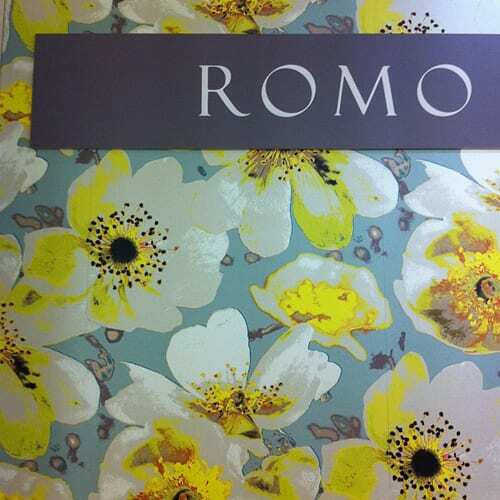 I can’t wait to show you the beautiful floral-inspired lighting and colourful vases that they’ll be selling over the coming months. Then it was back on the tube again to return to the place where I first immersed myself into the world of floristry, Southwark College. Due to a recent merger, it’s now called LeSoCo. 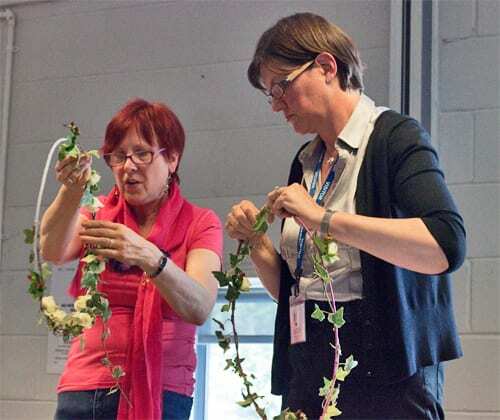 They were having an event to celebrate over 60 years of floristry being taught at the college. And here are Carol Campbell and Annette Parshotam, who gave us a wonderful demonstration of floristry through the eras. A blog post with lots of images will be on Flowerona next week. The most popular blog post this week was Selina Lake’s Handmade & Vintage Summer Fete 2013. I feel very honoured to have been asked by Emily Quinton to be guest judge for her Floral Friday competition on Instagram…so I’ll be looking through the entries today. I hope you have a lovely Saturday and I’ll be back tomorrow with lots of flowery links.